When it comes to Guild Wars 2, I am not really on the bandwagon. That doesn't mean I'm not interested in the game though. It is a high quality effort with no subscription, so of course I am on board with that. Since I pre-purchased, I was able to participated in this weekends beta event. My primary interest in GW2 is their WvW (RvR) Pvp stuff, so that's where I headed first. Once I finished the introduction mission, I was able to wisk myself off to the Mists. I think I was around level 3 at this point. 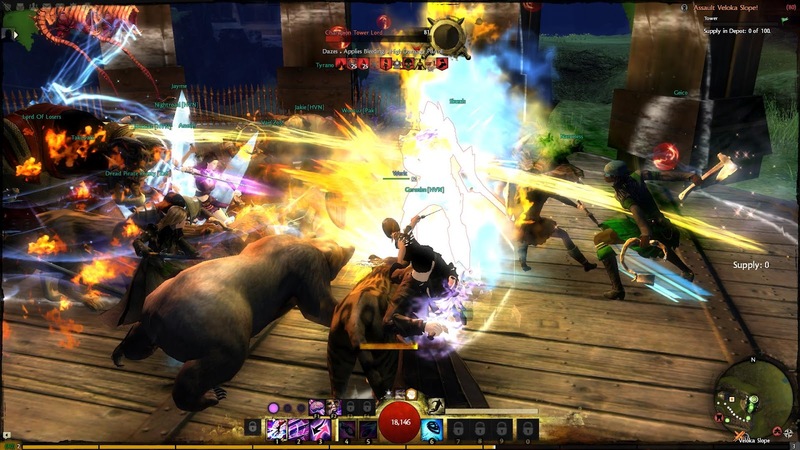 I love being able to WvW from the start, so that's a big plus for GW2 in my book. 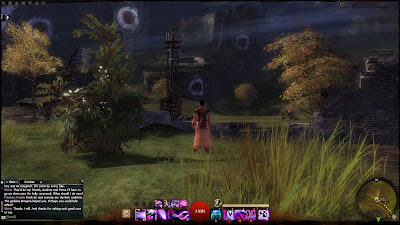 On my way to the Mists, I found myself in GW2's version of a scenario/battleground. It was quite a jarring experience, since these instances basically give everyone a level 80 geared template. I had no clue how to play my character at this level, so it did not go well. 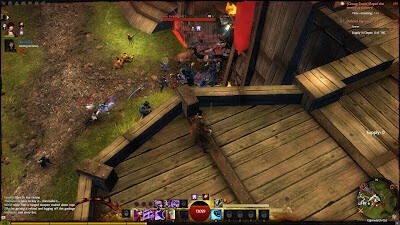 After a couple matches, I made my way over to the real PvP in the Mists. Now, I don't much much stock in these impressions since it is the first beta event. Good or bad, the game will change as people figure out how it all works. The WvW stat screen is pretty cool. 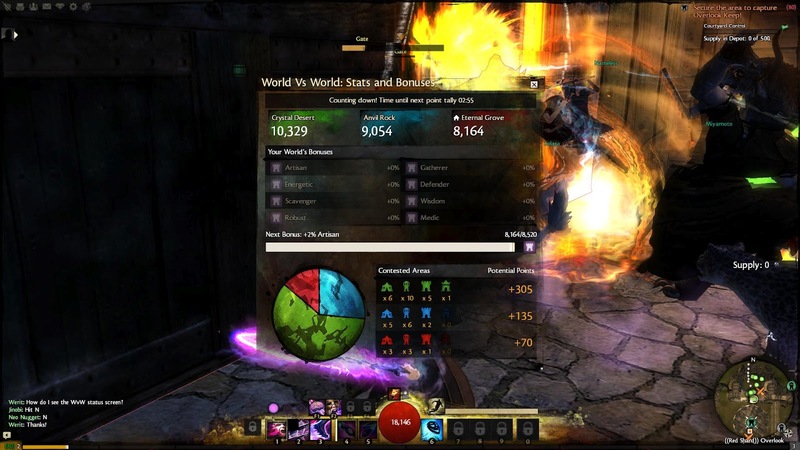 It shows the scores and bonuses based on the status of the Mists. My server, Eternal Grove, is not doing well at the moment but we are very close to getting a 2% critical crafting bonus for the server. So what did I do in the Mists? Pretty much the same thing I do in WAR. Ran around, captured objectives, ran away from zergs and so on. Sometimes, it was all too familiar like in the screenshot below. My overall WvW experience was just ok. There was a lot of 'ring around the objective' as groups avoided each other to capture undefended (or lightly defended) objectives. Performance was not very good at this point either, but it is the first beta so that is fine. I did not experience much 3-way action this time around either. I had fun though, so I'm looking forward to the next beta event.